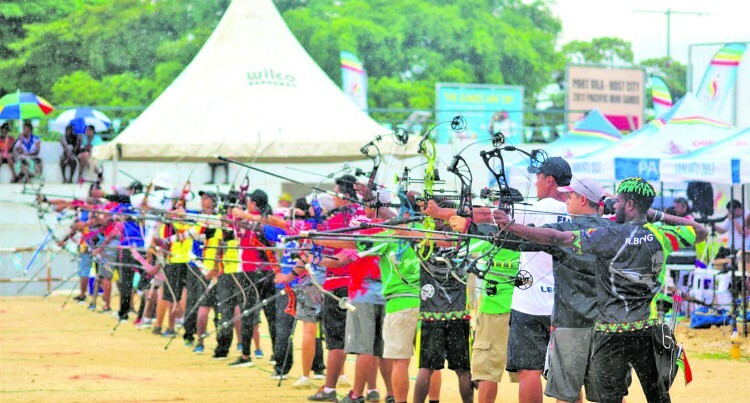 Team Fiji archers Robert Elder, Fred and Lisa Leota all walked away from the Pacific Mini Games with medals. Elder won gold at the re-curve event while husband and wife Fred and Lisa Leota won silver in the singles and mixed team during the compound competition at the Pacific Mini Games. Team chef de mission Wayne O’Connor commended the archers on their huge achievements winning one gold medal and three silver medals. “We are very grateful for all the contribution made by the athletes and to Fred and Lisa and the whole archery team,” O’Connor said. He highlighted the importance of developing minor sports as they contributed quite handsomely to the medal tally. Team Fiji finished third in the overall medal tally with 23 gold medals, 27 silver and 23 bronze, behind Papua New Guinea with 33 gold, 30 silver and 22 bronze. New Caledonia are the newly crowned Pacific Mini Games champions winning 47 gold, 15 silver and 18 bronze medals.